Aleksandra Voinova is a 14-year old native of Pittsburgh, US, and a 9-grader at North Allegheny Intermediate High School. She started her music studies at the age of three at the City Music Center of Duquesne University where she currently studies classical piano with Natasha Snitkovsky and violin performance with Rufina Efimova. 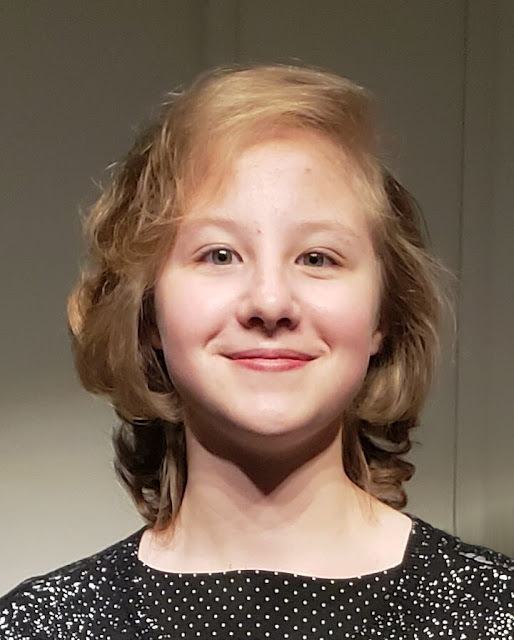 Aleksandra performed at various venues, including SLB radio live broadcasts, several piano and violin competitions, numerous fundraising/outreach events, including Erie Philharmonic Unplugged, UPMC Passavant Hospital Foundation concerts and Pittsburgh Symphony North events, Three Rivers Young Peoples Orchestra performances, and was a laureate of the Duquesne Young Artist Competition (piano). Besides music, Aleksandra enjoys traditional and digital art, athletics (cross-country and track), science and nature.